Next door neighbour. What would our friends back in Pennsylvania think if I was to write about visiting my neighbour? A short walk to a friend’s house for a cup of tea and a friendly chat? Oh, how I long for such a luxury. My name is Elizabeth Bedford and we live in the wilderness of the Western District of Upper Canada. No towns, villages or even roads – just Indian paths through the dense forest. But I must not complain for we live on the banks of the Thames River and we do not lack for human contact even though some is not the kind we would wish for. The Thames River is a busy thoroughfare with people travelling east to York and Niagara and west to Detroit, Amherstburg and Fort Malden – dignataries, soldiers, settlers, traders, warriors, refugees. Most do not stop as lodging is sought at Dolsen’s trading post downriver or upriver at the Moravian mission of Fairfield. Those not lucky enough to obtain a river lot who live further into the forest can go for months without seeing another human that does not belong to their family. Many Indians live in our area. Iit is not unusual to wake up and find them sleeping near the fire as it is their custom to share food and shelter. It is fascinating to see them with their serious demeanor and unusual clothes, especially when the men are painted for war. Even though there are many passersby, we still long to visit with family and friends but there is so much work to do what with crops, animals, children and household duties. My husband Robert or the older boys, John and Ebenezer, take our grain to Arnold’s mill or go for supplies at Dolsen’s or Amherstburg. Such visits keep us informed of local news and political developments. It is a rare treat when whole families gather for a work bee. While the men build or harvest, the women cook and visit. The children have great fun playing with friends. Another time for fellowship is when the circuit rider arrives. We gather at someone’s home to hear the word of God and sometimes to bury an old friend or witness the baptism of new babies. Whatever the distance, our neighbours can always be counted upon in times of need. We all give freely for we never know when it will be our turn to need help. 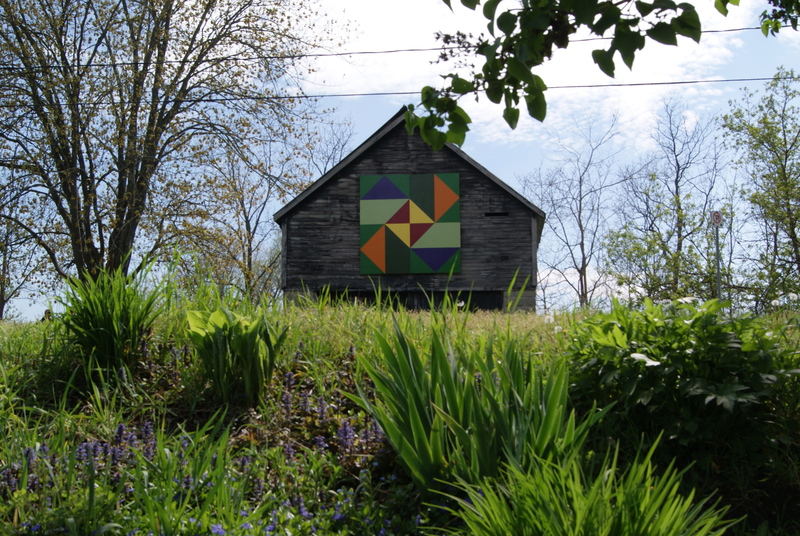 Posted on June 25, 2012, in Barn Quilt Champions., Longwoods Barn Quilt Trail, War of 1812 and tagged settler life in Ontario. Bookmark the permalink. Leave a comment.